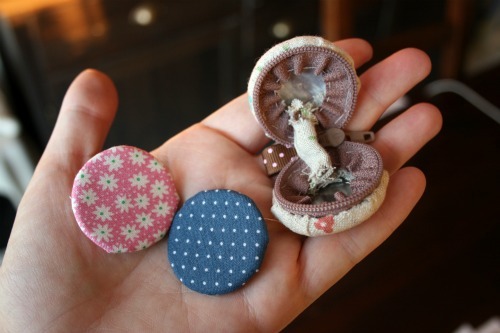 Ok so here’s the tutorial for last week, the little macaroons. I finished mine last night. It’s pretty cute. 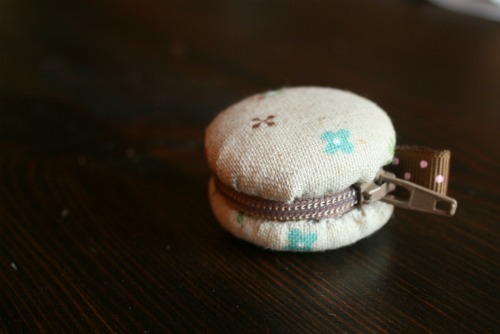 It’s also pretty tiny and other than storing or giving rings/earrings I’m not sure what else I could do with it. I also had a problem, see if you can figure it out. Yeah, there’s no way I can get the inside pieces in. I might have to get a slightly smaller size. I’m not sure if the fabric I chose for the outside is too thick, it’s a Japanese cotton/linen blend. Or if it’s just all to bulky in there. But the good news is no one will ever see in there since this is my little macroon and at least it looks great from the outside! Next up is this charming little brooch. Now this is a great project because it’s hand sewing, uses felt and creates an accessory and that fits with my goal to accessorize more! This entry was posted in crafty books, createalong, fun finds, other crafts and tagged brooch, create-along, felt. Bookmark the permalink. 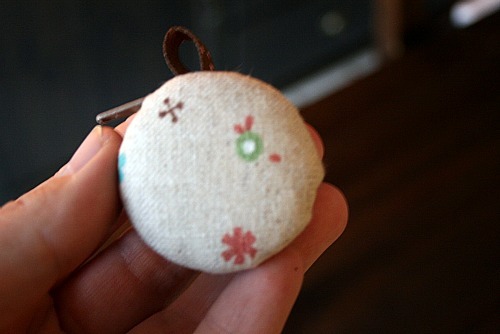 Do you have a pattern for that cute brooch? Yeah, guess it would help if I actually linked it! Sorry. Thank you so much! 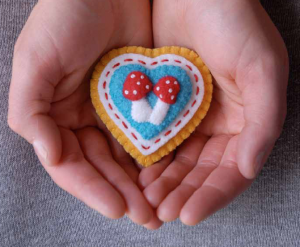 I love this little brooch!